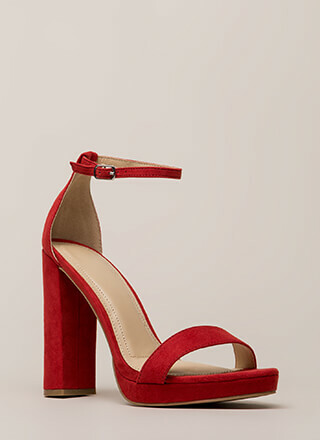 If you're looking for a unique ankle strap heel, this one's a real winner. 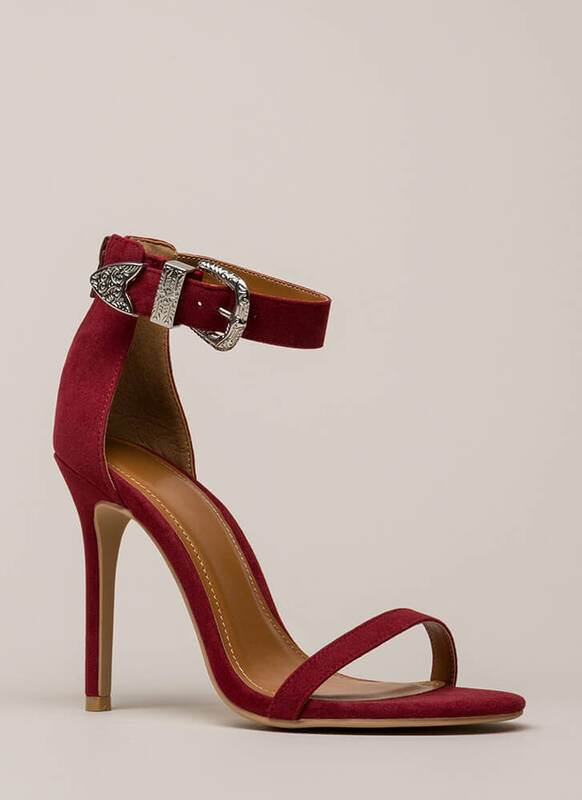 Velvety, open-toe, vegan suede heels feature a skinny toe strap and a wide adjustable ankle strap with a Western-inspired, intricately engraved buckle. 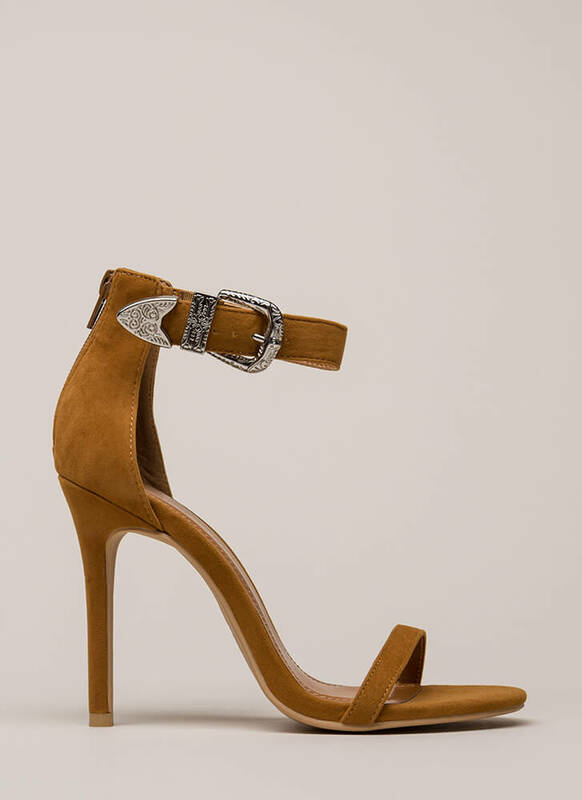 Shoes are finished with a stiletto heel, exposed sides, and a rear zipper for easy on and off.